Turning stories into songs and songs into music videos. The Music, the Composer, the Audience, and You! “Anybody here seen my old friend John? The song, “Abraham, Martin and John,” became a folk-pop standard worldwide. 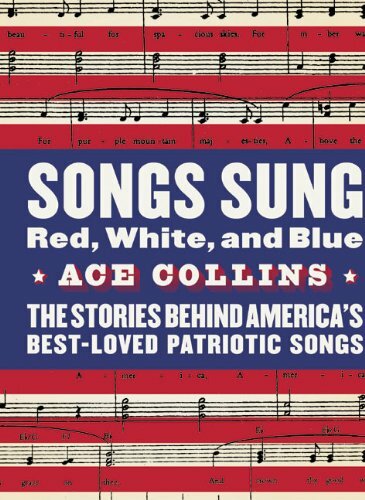 It was so significant that, forty years after it was written, historian Ace Collins included it in his book, Songs Sung Red, White, and Blue: The Stories Behind America’s Best-Loved Patriotic Songs. What were people saying about Jesus five years after he was crucified? The creed was so significant that twenty years later, Paul included it in his letter to the Corinthians, a letter skeptics consider as authentic. 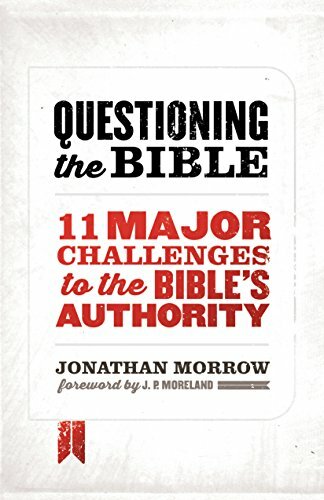 Jonathan Morrow lays out the timeline of events in his book, Questioning the Bible: 11 Major Challenges to the Bible’s Authority. Five years after the assassination the song said JFK was gone. Five years after the crucifixion the creed said Jesus is alive. Happy Easter! He is risen! He is risen indeed! From the album “Main Street” this video is scrolling playback of the song. You can get print (PDF) and/or digital (MusicXML™) sheet music for The Gospel Creed. 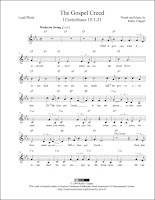 Click here for print sheet music (lead sheet format). Click here for digital sheet music. 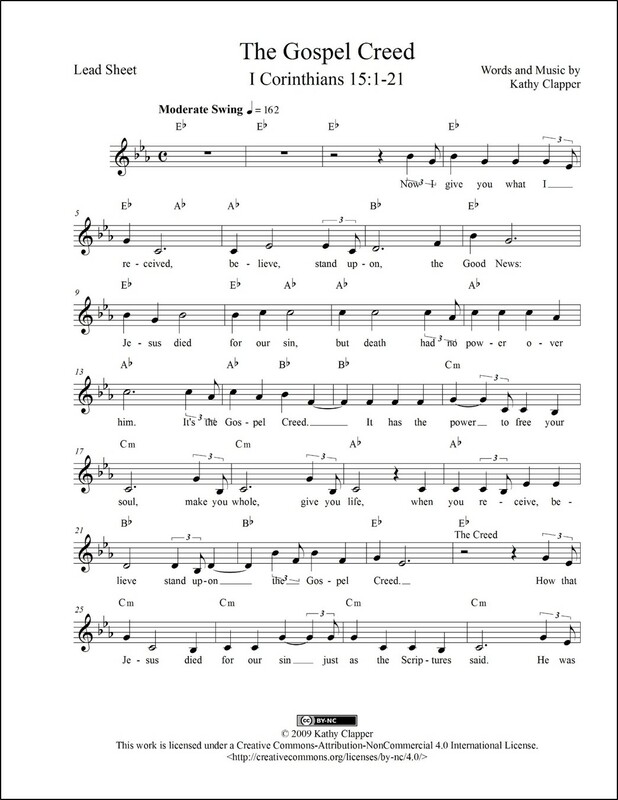 (MusicXML™ is the standard open format for sharing digital sheet music. I’m a songwriter and a Christ follower. The songs I write flow out of a biblical worldview. Some of the songs I write might be considered worship or praise songs. But most are not. Most are stories set to music. Stories resonate with me. Stories engage the mind and emotions. And stories test truth claims. Truth in story form is light and salt in a culture that is dark and decaying.